A time tunnel from the future, a castle seeking paranormal powers, an assignment in foreign parts. Three separate adventures take us further into the world of Princelings Fred and George. We meet Lord Mariusz finding both opportunity and trouble when he steps back in time; Humphrey, the refugee from the Lost City, seeking somewhere he can call home, and Victor, the ambitious young barkeeper, setting out on his business career, with two, or is it three, assignments to unravel industrial espionage. The Traveler in Black and White: this prequel to the series enables Lord Mariusz to set the record straight in his own laid-back style. Was he really a profiteering, hard-hearted, opportunistic charlatan? Or just a charming victim of circumstance. He’s certainly charming. The Talent Seekers provide Humphrey with the opportunity to use his unnatural powers of hearing and memory. He emerges from the obscurity of gangs of refugees and outcasts, victimised by the evil Lord Colman, to become the hero of the hour. But surely, isn’t friendship what it’s all about? Bravo Victor takes us further away from the Realms than we’ve ever been, showing that inventions and shady deals know no boundaries. Why has Princeling George not returned from the flying festival, and who is trying to smuggle a banned drink into the Realms? Sundance is tasked to find out, but it’s Victor’s expertise that he needs to solve his problems. 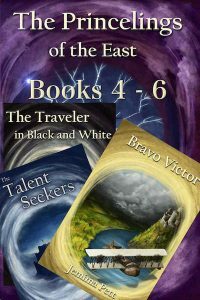 This three ebook box set takes us from the discovery of the time tunnel through to the complications of travellers crossing their time lines, while all the while making progress towards an end product: to deliver the promise the Princelings made in the very first book. In a broken world, he faced a future full of pain. Will one daring woman be his last chance for love…before time runs out? 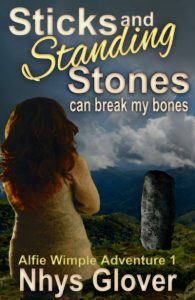 Jake Nichols longs for the life men lived before war destroyed everything and women enslaved them. When fate forces a temporary reprieve from imprisonment, escape becomes his primary objective. Until his new captor sparks hope, and something far more passionate, in his lonely heart. After giving up on romance, Monica Avery dedicated herself to sheltering unfortunate souls from a harsh new society. But then destiny delivered a desperate man to her doorstep. A man she soon discovers she cannot ignore and would do anything to save. Tourists often annoy Old Ebe–but the bullying outsiders breeding vicious attack dogs on his family’s old land endanger the peace of his quiet mountain town. When Ebe’s dog, Dipper, goes missing, the widower expects help from his new neighbors. It’s the way of the mountain community. However, when Rabler, leader of the lowlanders, threatens to kill his dog if he sees the animal, Ebe begins to suspect the newcomers hide something more sinister than raising attack dogs. Unfortunately, authorities turn a blind eye to their bullying activities. Ebe turns to the reclusive Dissenters, a people with magical powers who live deeper into the Sierra foothills, once led by his former teacher, Old Nance. When a young man, Ebe had tried to join the mage community, but he didn’t control enough magic to be accepted. Though Nance tries to help her former student, she only manages to anger the bullies. A gang of them murders her for interfering with their lucrative business. To regain his self-respect, Ebe must find a way to revenge her against “dog farmers’ with little magic and fewer allies. Showdown at Crossings is a classic fight of good against evil, where revenge and redemption drive Old Ebe into a deadly confrontation against enormous odds. 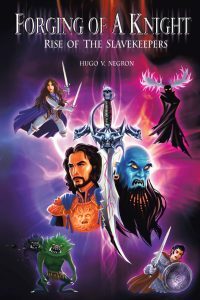 The e-story, along with Night for the Gargoyles, is a prequel to M. K. Theodoratus’ novel: There Be Demons–with the telling of why Britt’s Granny Nan wasn’t there to help the teen fight the demons invading Trebridge. 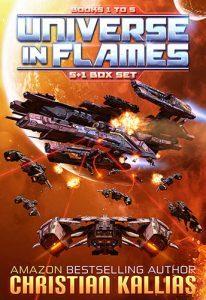 Five years ago, a deadly conflict unfolded in a jungle clearing on a distant Rimworld—otherwise known as the last galactic frontier. Today it’s about to heat up. Before long, Jackson begins having visions of a mysterious portal. 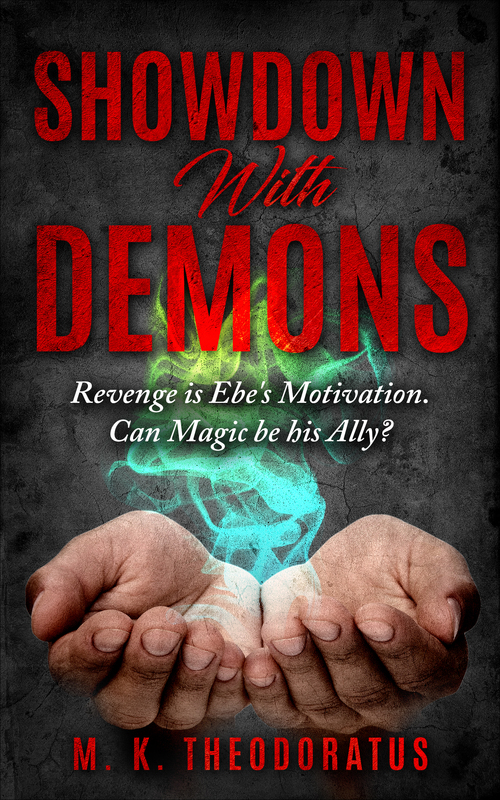 Convinced his visions are the key to escaping Pandemonium and returning home to his son, Jackson forms an unlikely alliance with Lilith, an enigmatic demon who has an agenda all her own. 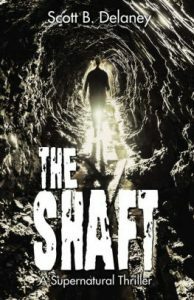 As the two are relentlessly pursued by an evil older than time itself, they must navigate their way across a brutal, fantastical landscape and find the portal before it closes forever. 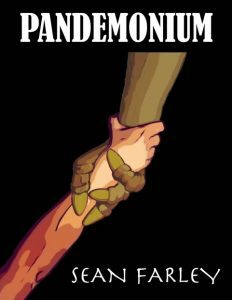 “Pandemonium” is a dark fantasy adventure that will take readers to the depths of a richly imagined hell unlike any they have experienced before. It is December 2017 and a sweeping religious movement is gaining traction in the United States. As spiritual leaders diligently work to spread the Word of God to the people, liberal factions in the world of pharmaceutical and scientific development create a secret society with a dark mission: to thwart the group’s conservative impact on what society considers to be morally acceptable. As a string of church-related murders plague the nation, the FBI and local authorities race to locate the assassin responsible. When the members of the secret society realize that the murders are not stopping or slowing the threat, they resort to kidnapping. One of their abductees is Andrew Morrison, a key leader of “The Call” ministry. After he manages to escape from his captors in Texas, he must identify and locate his family as well as the killer of many of his friends that were fellow leaders in this ministry. But as angelic hosts enter the scene to protect and intervene, now only time will tell who will win this compelling battle of good versus evil as a church movement attempts to make a meaningful impact on the world. Marty Mann and Nellie Dixon are back for another irreverent, liberal, twisty, time-travel comedy! This time they have Jesus Christ, the actual guy, on their side. The timeline correction Marty Mann and Nellie Dixon accomplished in their first episode was successful. . . . Or was it? 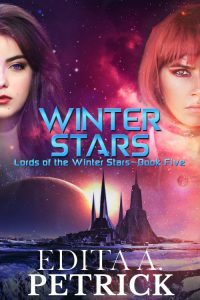 When the two humans and their Krichard friends, Chrissie and Tina, return to year 2020 Earth to verify the change, they find an advanced, peaceful planet. The four friends move into Marty’s new timeline home and the next morning head out for a flying car tour of Oodlelakeolis. The city, which was Minneapolis in the previous timeline, is beautiful from the air, but when they swoop down to land, the Colorless Ones, a cult of religious extremists from the planet Krichardia, reverse the timeline change and abduct Chrissie and Tina. Instantly, President Handley is back to dropping nuclear bombs, and once again, Marty and Nellie must find a way to stop him. After our heroes gain possession of the Krichards’ time-traveling Chromosphere Cruiser, they return to AD 31 with plans to restore the advanced timeline by wowing the locals with the Holy Smokin’ Hot Nellie act. Unfortunately, an unexpected event forces them to return to the year 2020, but they have a stowaway—Jesus Christ! Can Marty Mann and Nellie Dixon save the world and rescue Tina and Chrissie with snark being their only superpower? Can a dark-skinned Jesus with a fondness for profanity and a disdain for evangelical Christians thrive in the twenty-first century? And who are the Soldiers of the White Jesus, and what will they have to do with any of this? These questions and more will be answered in this unforgettable episode. Time Is Irreverent 2: Jesus Christ, Not Again! is a hilarious, thought-provoking satire with unpredictable twists, colorful and colorless aliens, the outrageous Holy Smokin’ Hot Nellie, and a juicy role for Jesus Christ, the actual guy! 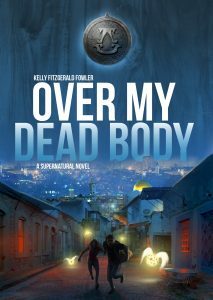 SUPER SALE on my newest paranormal release! It’s even harder to keep a secret that could expose not only your family but an entire species. That’s what Frankie Cavanaugh must do. As the daughter of the leader of the Wisdom Council, it’s up to her to step into her father’s shoes until another leader is chosen. It’s also up to her to continue her lineage within the species. She wants to do neither. She considers the shifter gene a curse rather than a gift, robbing her of a normal life. Unfortunately, the Council doesn’t see it that way and is determined to wed her to their next leader – by force, if necessary. Tanner Coalson is fresh out of college and ready to tackle whatever life has in store for him. First item on his to-do list is marrying the woman he has loved for years. He knows Frankie will balk at the notion because she’s fifteen years older and was his childhood sitter. 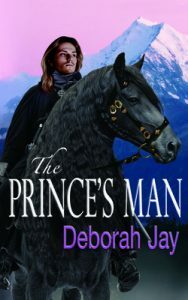 He’s no longer a young boy, but a man who is determined to win her heart, and he is prepared to do just that. But convincing her they are destined to be together gets much harder when she is kidnapped by an old enemy. In order to survive, Frankie may have to reveal her secret, and Tanner may have to accept what seems impossible or reject the love of his life. The war between the Seven Dukes and the Druids continues. The Duke’s army is trapped the northern city of Lanu Git where the forces of the Druid King are laying siege. Prince Von has escaped and crossed the Forbidden Sea to plead for help. 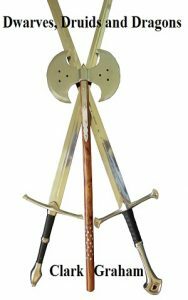 Signar is willing to go it alone, but before he leaves he finds help from all over the land of Elvenshore. It would take many epic battles before end. Will the forces from Elvenshore be enough to save the army of the Duke from the forces of the evil Druid King? Draca, a person blessed with the power of a one of the seven Dragons before birth. Though their powers remain dormant, and require tremendous training in order to ready their mind and body to unlock the slumbering power. Ethan, a man unknowingly made a Draca before birth, was blessed, not out of being chosen for duty, but to save his life. 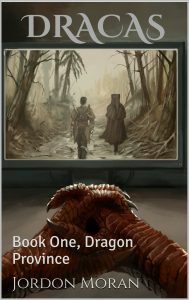 The Dragon who blessed him, Luciana, is forced to send the Draca, Sam, to gather and train Ethan. Their method for training Ethan is creating a small realm based on a world from one of Ethan’s video games. Not a one-for-one recreation, but still gives Ethan’s enough knowledge to give the inexperienced Draca a small edge in the adventure ahead. However, the adventure soon turns dangerous from a simple, unexpected meeting between Ethan and a mute traveler, Husky. While Husky is far more capable than Ethan, Husky proving himself to be a valuable asset to Ethan thanks to his experience, a malevolent shadow that follows Husky wherever he goes puts Ethan’s life in grave danger. Rule #1: Never go out after dark. Rule #2: Never go into large bodies of water. Rule #3: Stay off of social media. Myreen didn’t think breaking one rule, just once, would lead to the death of her mother. And she never expected to learn she was a mermaid shifter, or that her mother was killed by vampires. 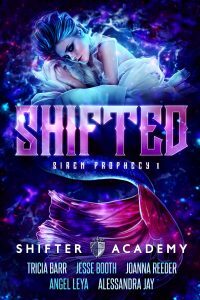 Whisked away in the middle of the night for her own safety, Myreen finds herself in a secret school for shifters. With rumors swirling, mean girls circling, and two incredibly attractive guys tugging her in separate directions, Myreen will need to untangle the web of secrets surrounding her if she ever wants to find out why her mother was murdered. But as she dives deeper into the mystery, she discovers a truth about herself that no one saw coming—a truth that will change the fate of the shifter world forever. E-book version on sale for .99 cents – 1/8/2019-1/12/2019! The second book in the Forging of a Knight series! Qualtan has become a knight at last. With Glaive, the half-orcne thief by his side, he will join a host of new friends: Jesepha, the strong-willed female knight; her mentor, the elder knight Bartholomew, who carries a strange secret; the young and hot-headed knight Euric; the glum and impatient knight Richard; and the dashing merchant lord Visandus. A seemingly routine mission will unravel into one of greater horror, involving inter-dimensional creatures, rival sea-faring pirate nations, and a face-to-face confrontation between Qualtan and Darksiege, one of Those That Stand in Shadow, at last! Should they somehow prevail, it will just be a precursor to an even GREATER threat! 99c for a limited time only! The gods are dying. But for one man, death is only the beginning. 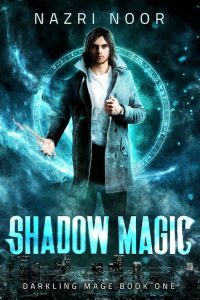 Murdered as a ritual sacrifice, amateur thief and professional charmer Dustin Graves mysteriously survives, finding himself gifted with strange, dark magic. Then more dead bodies turn up. Some are human, but one is a god of the old world, slain at his own doorstep. Mortal or divine, the bloodshed must end, and Dust is the mage for the job. But first he must contend with a succubus, a talking sword, a spider queen, a goddess of magic, and eldritch abominations from beyond the stars. No big deal… right? 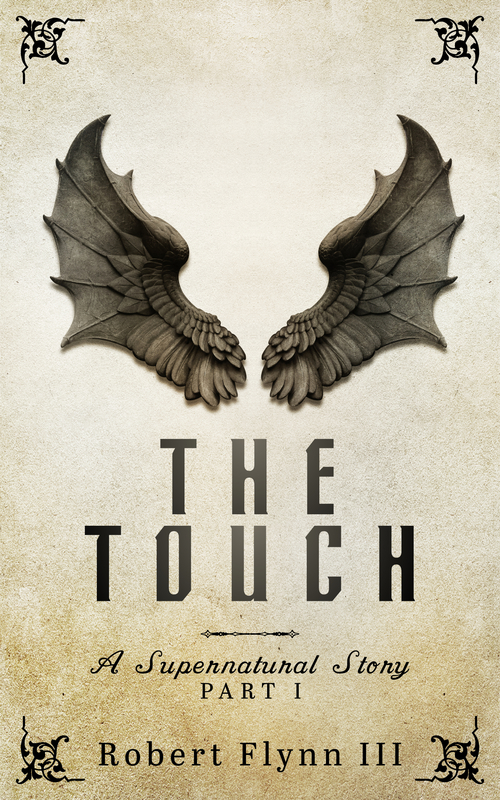 If you like snarky heroes, snappy dialogue, and a bit of grit and gore, you’ll love the first standalone book in Nazri Noor’s series of urban fantasy novels. Explore the Darkling Mage universe and discover a taste of Shadow Magic today. Rustam Chalice, gigolo and spy, loves his lifestyle just the way it is, so when the kingdom he serves is threatened from within, he leaps into action. Only trouble is, his spy master teams him up with an untouchable, beautiful aristocratic assassin who despises him. 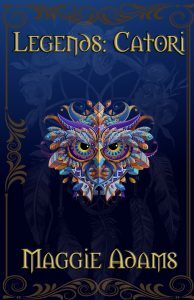 Magic, intrigue, and a pinch of romance collide in this captivating fantasy adventure! Do you really know your parents? It’s a race against time for the teenagers in Shadow Hills. Jazmine is in a coma, Jayden’s been kidnapped, and Robyn is trying to figure out how to help them both. Meanwhile, the spiders are swarming the neighborhood, getting ready to make their move. Will Robyn save Jayden in time? Will the killer strike again? Get ready for a wild ride back to Shadow Hills. 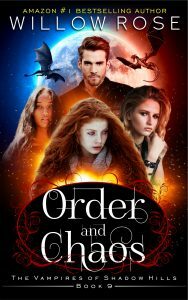 ORDER AND CHAOS is the 9th book in a fun and frightening series of romantic paranormal mysteries. If you like star-crossed chemistry, headstrong heroines, and riveting family drama, then you’ll love Willow Rose’s heart-throbbing series. 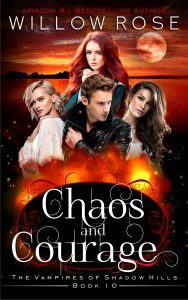 Buy ORDER AND CHAOS today to discover a dynamic series with heart-stopping suspense, fierce romances, and jaw-dropping surprises.